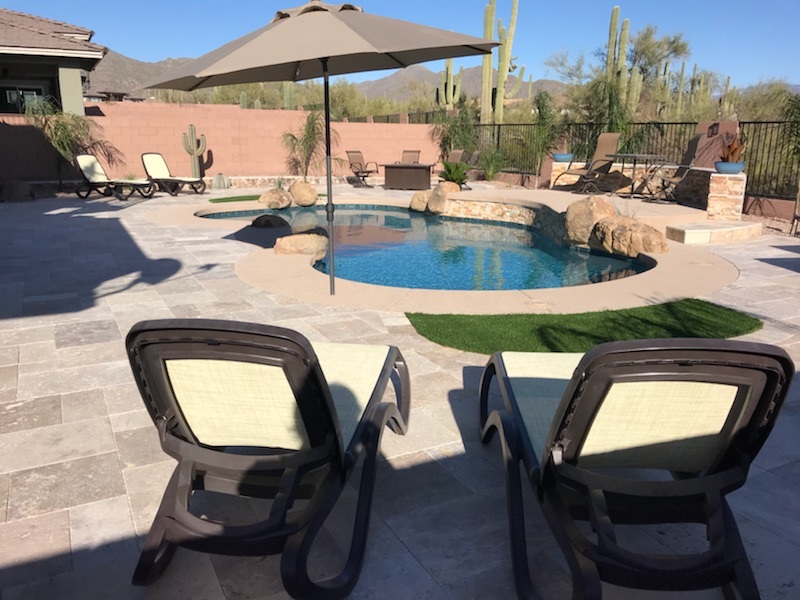 The Gray family of Marana, AZ partnered with presidential Pools, Spas & Patio to build their new backyard swimming pool. Below is a short interview about their experience. Why is having a pool important to you and your family? 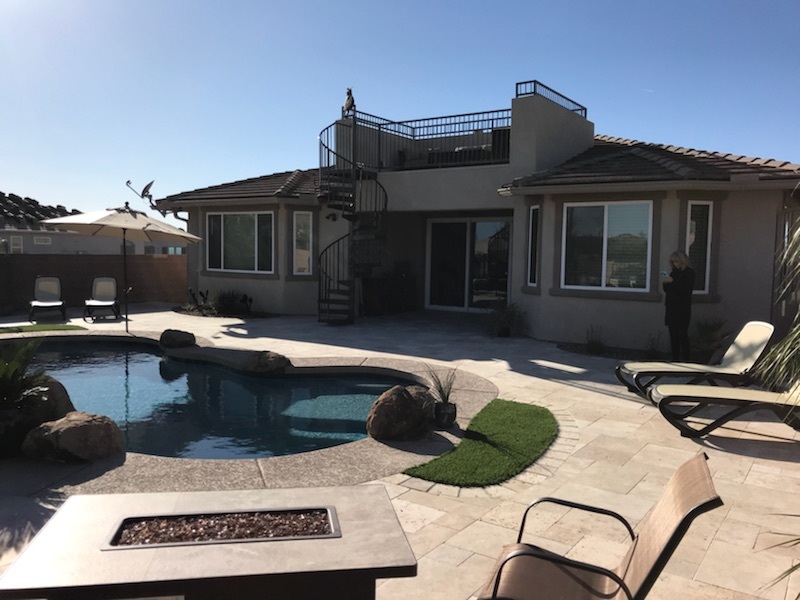 We just moved to Arizona in December and felt it was important to have a pool for many reasons, but primarily to be able to enjoy our back yard during the hot weather and entertain our friends and family when they come to visit throughout the year. 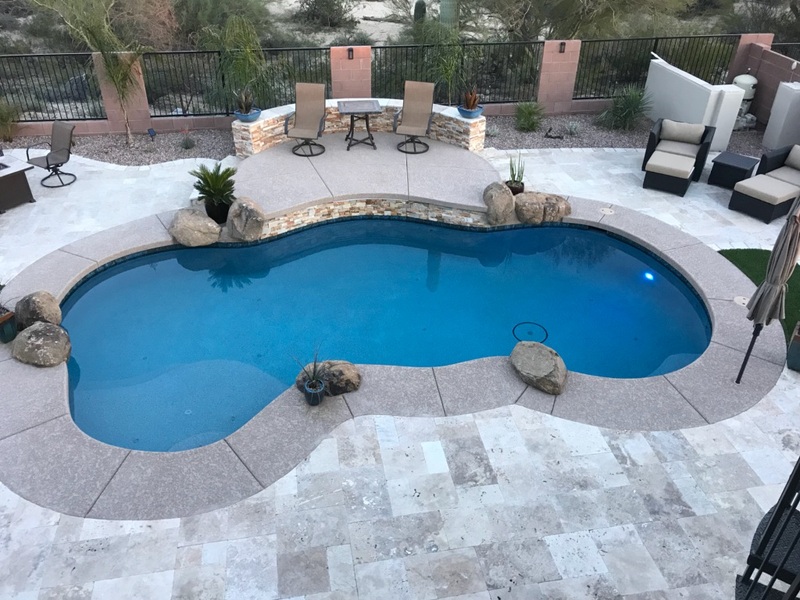 Which features were most important to you in designing your pool? 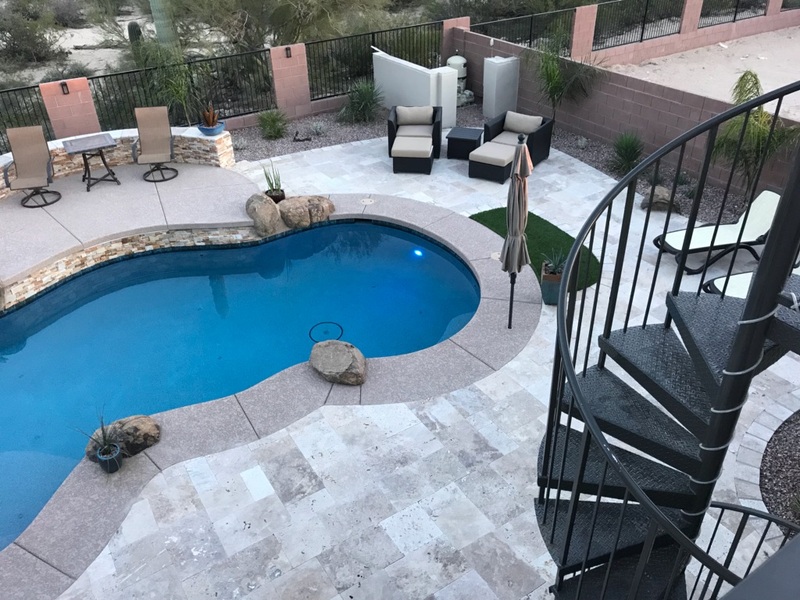 We relied a great deal on the design suggestions from [our designer] Carlo and are very pleased that we incorporated the waterfall feature and large stones in the final design. 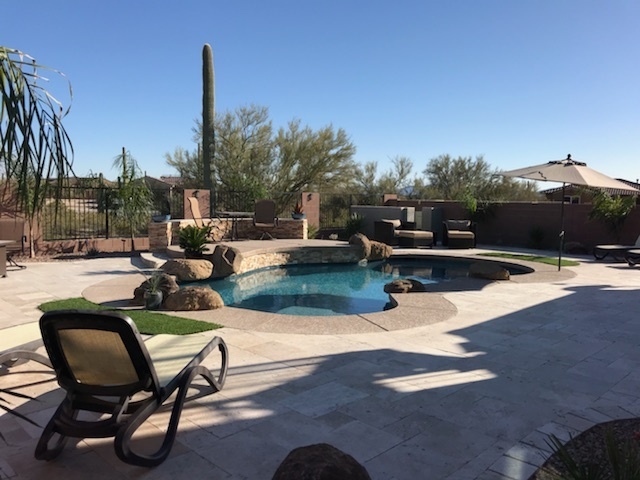 Having had pools in the past I would recommend to anyone starting the pool building process to work closely with the professional designer, listen to their advice, and don’t skimp on the walking surface around the pool when designing the final landscaping. Why did you choose Presidential Pools, Spas & Patio as your pool builder? 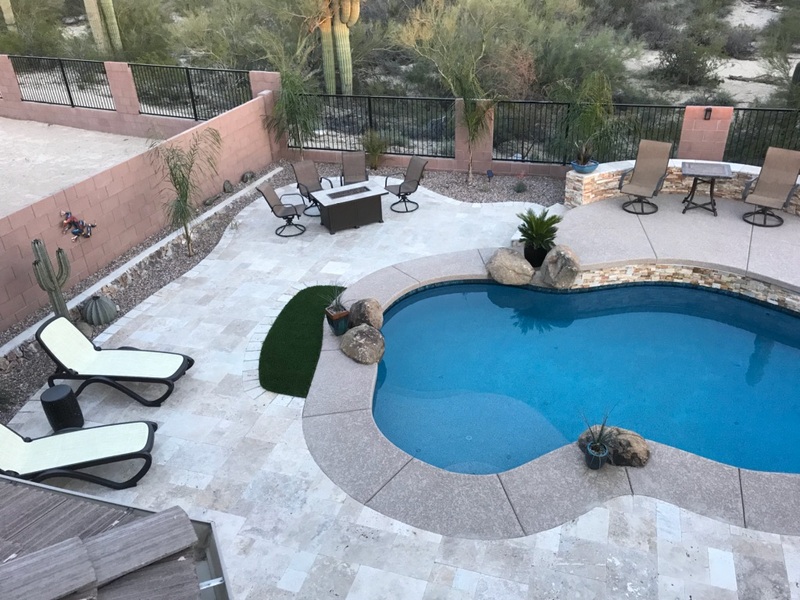 We chose Presidential Pools after a recommendation from a current Presidential Pool owner, meeting with the designer and seeing the three dimensional drawings (he really got what we were looking for), and the excellent reviews and ratings we found online. It’s hard to say what we like the most about our final pool since WE LOVE OUR NEW POOL! It looks great, we love the features, and were very pleased with the professionalism and communication from those involved in the construction process (Chris Munton in particular was outstanding in communicating with us from beginning to end). The bottom line for us is; If we ever move and need a new pool, Presidential Pools will be our first phone call! Ready to start designing your new backyard? 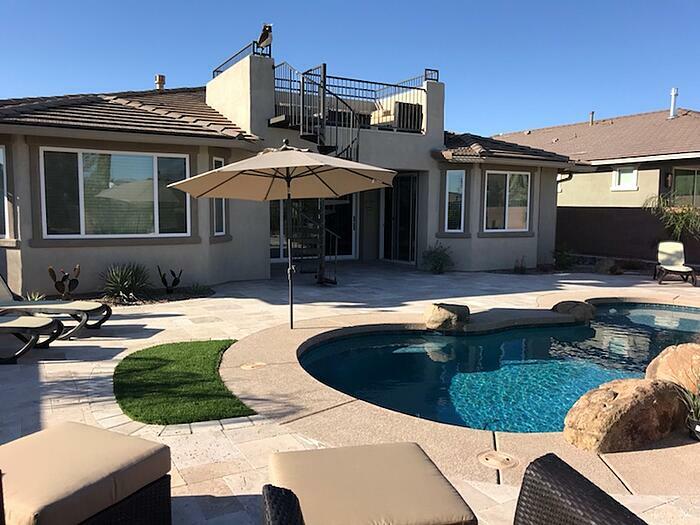 Call us at 480-967-9467, visit any of our locations, or click here.